My girlfriend Amie Gibbons has been writing for many years. In the past six months, she published a number of short stories and collections, paving the way for her first novel. I read that book first as a novella, then again as a full length story. 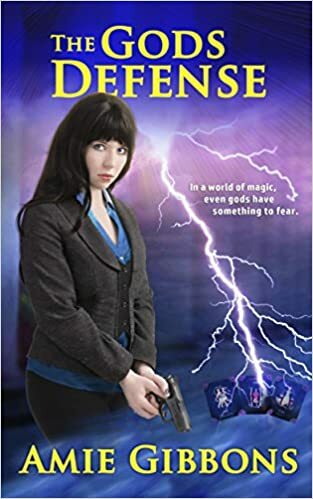 The story is in the urban fantasy genre, which simply means “our world with minimal distinctions, such as limited magic.” Such worlds are the staple of storytelling for authors like Lawrence Watt-Evans because they allow almost instant recognition of the environment. For my taste, that’s rather more fun than having to learn fifty elvish and gnomish names before the story can commence. Magic has to be consistent with physics, and there’s little room for the annoying arbitrary details. In Amie’s newest book, the familiar Greek pantheon meets the US legal system in a rather unpredictable manner. Mysteries of purpose and motivation abound, to be mostly resolved by the book’s end, with just a little left unclear for the second part. Plenty of humor to lubricate the narration, and more than a few wry commentary on the state of the current union. This entry was posted in book, Uncategorized and tagged fiction. Bookmark the permalink. I assume that the wry commentary has something to do with politics, and not on the state of your union with the author? That’s an odd grip she has. I don’t have a Kindle. Is there any way to get this in hard-copy?